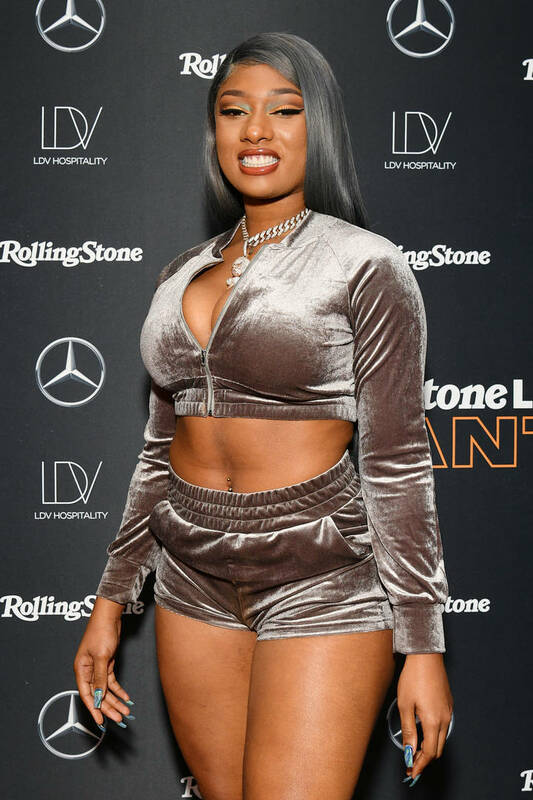 Megan Thee Stallion isn't having the best week of her life but she definitely needed a quick laugh this morning. Despite her career being on the rise, experiencing new heights with her latest singles, the star's mother unexpectedly passed away and it shook her to the core. The 24-year-old has been grieving her loss all week and while it may not be any easier to cope with, Trey Songz gave her a nice reminder that things look greener on the other side. Trigga Trey was listening to Megan's song "Big Ole Freak" when he got instantly turned on, taking to Twitter to shoot his shot at the singer. "Big Ol Freak make me wanna knock the stallion head off for the culture," said the R&B icon, adding a shrugging emoji. His fans tried to get him to calm down, telling him that the day had just begun and that they'll help him get some later on. Trey may not have tagged Megan Thee Stallion in his post but she somehow still caught wind of it, issuing her response shortly after. "Somebody tell Trigga he can’t handle me," wrote the rapper, shutting him down with the swiftness. The addition of her laughter emojis means that this exchange may not necessarily be complete. Perhaps we'll be seeing more flirty messages sent between these two. In the meantime though, Megan appears to have no interest in Trey.